The acronymic B.R.A.T. 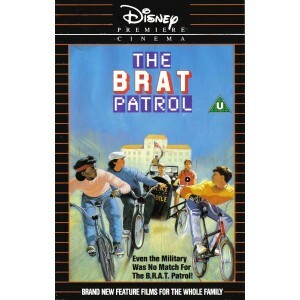 Patrol originally aired as a 2-hour entry on The Disney Sunday Movie. The appropriately named title characters are the children of a group of Marine non-coms. Running roughshod around a UMC base, the "patrol's" reputation is so bad that no one believes the kids' story about overhearing a plot to steal valuable government equipment. In true Disney fashion, the kids take on the baddies themselves. Sean Astin is cast as the head BRAT, while Brian Keith (the ostensible "star," though he's billed fifth) does his usually over-loud overacting as the General. 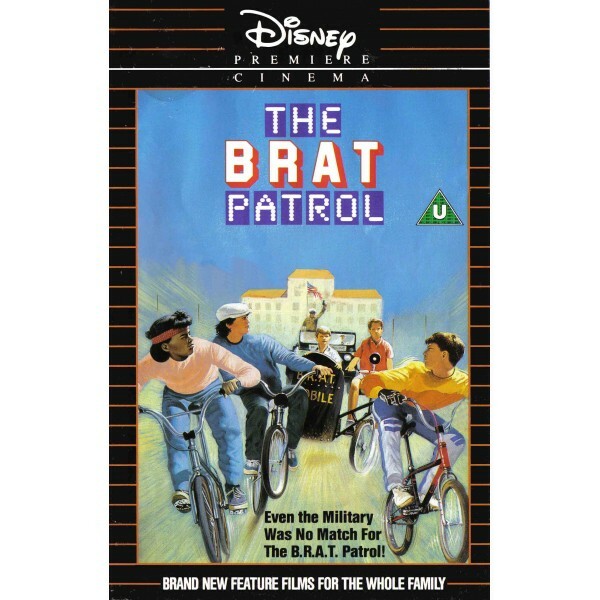 A group of military brats uncovers a plot to steal base equipment. The B.R.A.T. acronym is explained in the movie as the kids' rally cry: "Born raised and trapped!"